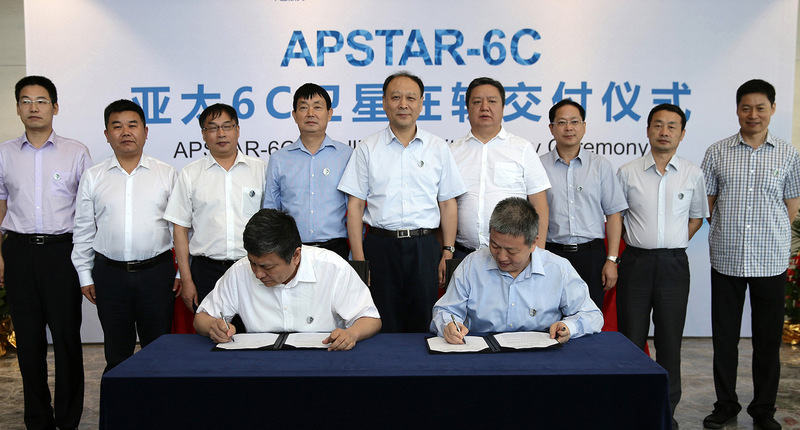 APSTAR-6C satellite was launched on May 4, 2018 by the Long March 3B launch vehicle from the Xichang Satellite Launch Center in Sichuan, China. The satellite conducted LEOP operations, including five apogee firings and perigee engine firings, and positioned at the designated orbit slot for in-orbit test while APT Satellite control center in Tai Po, Hong Kong taking over the tracking and control operation of the satellite. As of now, APSTAR-6C satellite finished all in-orbit tests, and it is operating at 134⁰E in very good health condition. APSTAR-6C satellite is designed and manufactured by CAST based on the DFH-4 platform with a designed life of 15 years. It is equipped with totally 45 transponders in C-band, Ku-band and Ka-band. As the most advanced satellite with the highest capacity in the DFH-4 series satellites, APSTAR-6C will provide satellite communication and broadcasting services covering Asia-Pacific region.